13 piece jiggler lock pick set designed specifically for pin tumbler locks. Insert these picks into the keyway and rock the pick up and down to open. SKU: SDJ-13. Category: Lock Picks. Brands: SouthOrd. 13 Piece jiggler lock pick set designed to open pin tumbler locks. Sometimes referred to as “profile picks”, “jiggler picks”, or “tryout keys”. 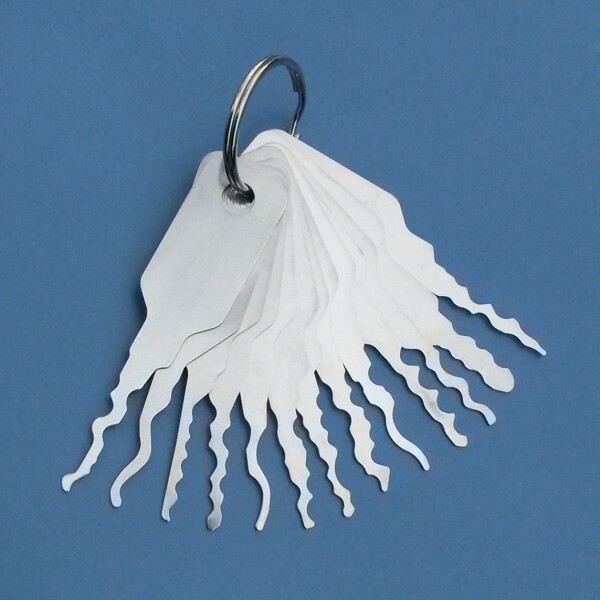 Each pick mimics a different key profile and can be flipped to provide 26 different key profiles to try. Use by inserting into the lock and applying a light turning force while rocking the pick up and down. When you find the jiggler pick profile that is close to the actual key’s profile, rocking the pick will set the pins and unlock the lock.